I understand I am a bit "extreme" because I choose not to eat or add anything to my diet that isn't naturally occurring. I'm only extreme to those who live and eat according to what information they previously have been educated or simply grew up knowing. But is that actually right? Is it what is best? I, with all intentions, do everything I can to get my energy from proper sleep and proper eating habits. I, by choice, do not ever take any chemical of any kind such as caffeine to increase energy levels. Folks have been losing fat and living energized without it for years and years as well as will continue to do so for more to come. Of course caffeine naturally occurs, but moreover do we actually NEED it? Nope! Let's look at both sides of the caffeine story because that's only fair. "Caffeine exaggerates the stress response," says James D. Lane, PhD, professor of medical psychology at Duke University Medical Center in Durham, N.C., and a long-time caffeine researcher. 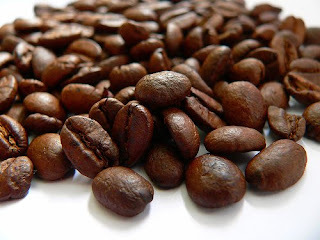 "At the cellular level, caffeine locks the receptor normally used by adenosine, a brain modulator that provides feedback to avoid overstimulation of nerve cells. If adenosine is locked up, nothing keeps the nervous system from getting too excited at a cellular level." People joke about being hooked on caffeine, but is it truly addictive? Researchers have debated that question for years. "There's no question," says Roland R. Griffiths, PhD, professor in the departments of psychiatry and neuroscience at Johns Hopkins University School of Medicine in Baltimore and a veteran researcher in the area. Caffeine is addictive for some people, he says. "Caffeine does produce dependence, and caffeine withdrawal is a real syndrome." First in the pros column you have the benefits that caffeine has on our central nervous system. It is a stimulant here, helping all of us to wake up and get ready for the day. It will restore your alertness and will help you to stay awake too. Did you know that caffeine is also used with medications? It can help to make some medications more effective. For example, ergotamine is a medication that is used to treat migraines. 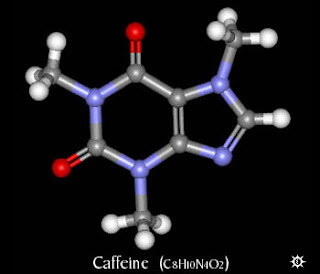 Those that experience drowsiness with their antihistamines will be able to overcome it with the addition of caffeine. It can also be used (by prescription only) for babies that have breathing problems. Caffeine does have its bad points, though. First of all, it can not be used instead of sleep. Those that find themselves struggling with staying awake should not use caffeine as a way to avoid sleep as this can cause the body to become weakened and eventually you will fall asleep, hopefully not at the wrong time. Also, there can be complications when too much caffeine is taken. In the worst case scenario, when too much is consumed over a long period of time, mental and physical impairments can become permanent. This includes conditions known as caffeine induced anxiety disorder, sleep disorders, caffeine intoxication, and others. Symptoms of caffeine intoxication include insomnia, rambling, cardiac arrhythmia, increased blood pressure, rapid pulse, diuresis, muscle twitching and delusions. This is due in part to the fact that caffeine can become addictive. Probably the worse condition of all is withdrawal from caffeine. When considering the pros and the cons of caffeine, consider restrictions instead of denial. Like anything else, moderation is the ticket to enjoying your coffee and caffeine without worry about the problematic side effects of it. Which Body Is Best For Health AND Performance?